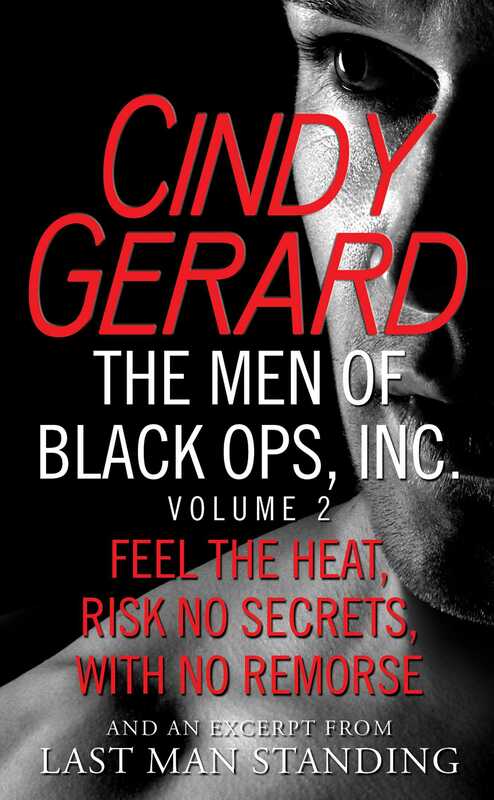 An eBook box set of bestselling author Cindy Gerard’s Black Ops, Inc. books 4-6: Feel The Heat, Risk No Secrets, With No Remorse. Tough, beautiful, and blond, B.J. Chase, a covert operative at the Defense Intelligence Agency (DIA), is assigned to the National Security Agency to find out if and how someone at NSA is leaking information about a top-secret new U.S. weapons program to terrorists. When NSA cryptologist Stephanie Tompkins brings suspicious intercepted messages to the attention of her division head, her superior is killed and Stephanie gets embroiled in a terrorist plot that implicates her as a traitor. Black Ops Inc. swings into action because Stephanie is the completely honorable and patriotic sister of one of their fallen comrades and BOI team member Raphael Mendoza is secretly in love with her. First, Stephanie is taken to a safe house where BOI agent Joe Greene will guard her. Then Colombian-born Rafe Mendoza and DIA agent B.J. are sent to Colombia by the Department of Defense to find and destroy the site where a replica of the new U.S. weapon is being constructed (according to Stephanie’s decoded intercepts). 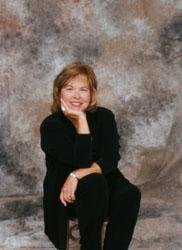 Posing as Rafe’s lover, B.J. goes to Medellin with Rafe who is using his family’s shady business connections to infiltrate the drug cartel bankrolling the weapon. As they carry out their deception, demolish the weapon, fake their own deaths and flee Colombia, Rafe and B.J. fall for each other much to their mutual surprise, just as Stephanie and Joe Greene do back in the States. When Black Ops, Inc. operative Wyatt Savage’s former girlfriend Sophie calls him out of the blue, desperately requesting his help, Wyatt flies down to El Salvador. He’s never stopped loving Sophie, even though she married his former best friend Hugh, who saved Wyatt's life more times than he can count when they worked together on secret missions for the CIA. Now Sophie is frantic because one of her students was abducted from the school she runs near the U.S. embassy in San Salvador. It appears that Sophie’s twelve-year-old daughter was the kidnapper’s target but they took the other girl by mistake. Wyatt is shocked when Sophie tells him that she and Hugh divorced two years ago, and she and her daughter hardly ever see him because he travels around the world protecting high-level business executives. With help from Sophie and two of his BOI brothers, Wyatt tracks down the kidnappers, but he alone undertakes the challenge of winning Sophie’s heart. Black Ops, Inc. operative Luke—Doc Holliday—Colter, is taking some much needed down time, making his way across the Peruvian Andes via rail, when banditos attack the moving train in the midnight hours. It soon becomes apparent that robbery is not their intent but the abduction of super model “Valentina,” who is traveling incognito while licking her wounds and recovering from a public scandal involving her ex-husband, high profile US Senator, Marcus Chamberlin. Luke whisks Valentina off the train in a daring escape but the two of them become the targets of a relentless manhunt. Enlisting the aid of Luke’s BOI teammates, they soon discover that Val’s intended abduction is linked to a plot put in play by an international gun smuggling alliance. The BOI team lead by Luke and with Val along as a necessary pawn, must race half way around the world to thwart a ruthless attack that would not only result in a devastating loss of life but destroy a tenuous peace the US and her allies have established in a vastly unstable part of the world.